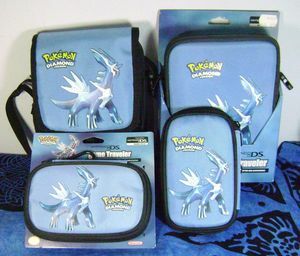 DS Cases, card cases, purses, boxes...any other cases I find! 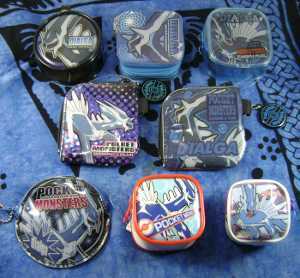 The more rectangular one I have add for some time, and it shows up fairly often on Yahoo Japan. 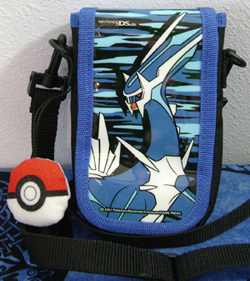 The one with the flap I'd not seen before and the picture was a bit small, so I asked the seller about it (to see if it was a custom modification of the other one), and they said they bought it in the Pokemon Center. That was enough for me, and after getting it I can see it's definitely a different item. The image on these is a cool textured vinyl. This is pretty similar to the below, and both show copyright of 2007 so I'd guess they were both released about the same time. Most of the things featuring Dialga in a running pose are from 2009 or later, as he got new art for the movie that year. 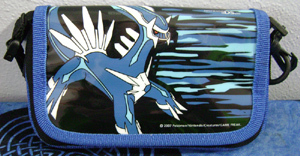 Not much to say about this one...it's a DS case with a pretty cool design! 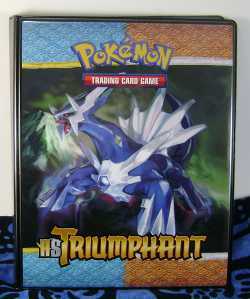 I had this one for a long time before adding it to the site, and I think I know why - it's hard to get a photo in this case without a reflection! 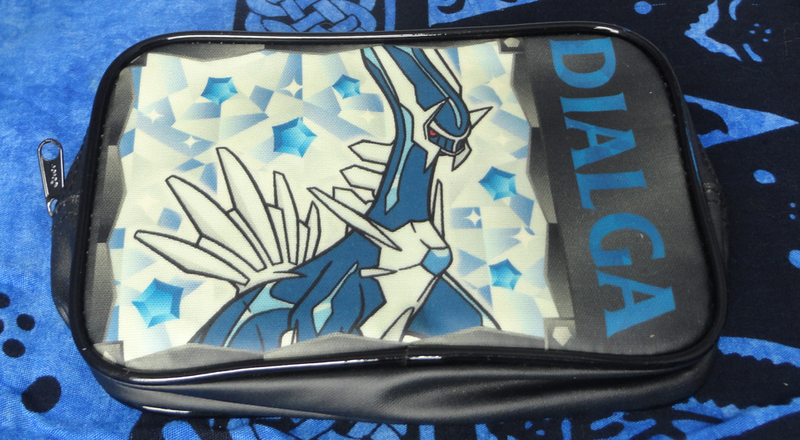 Anyway, it's a nifty soft cover with two different Dialga designs on it (one in the center, and one in the background). 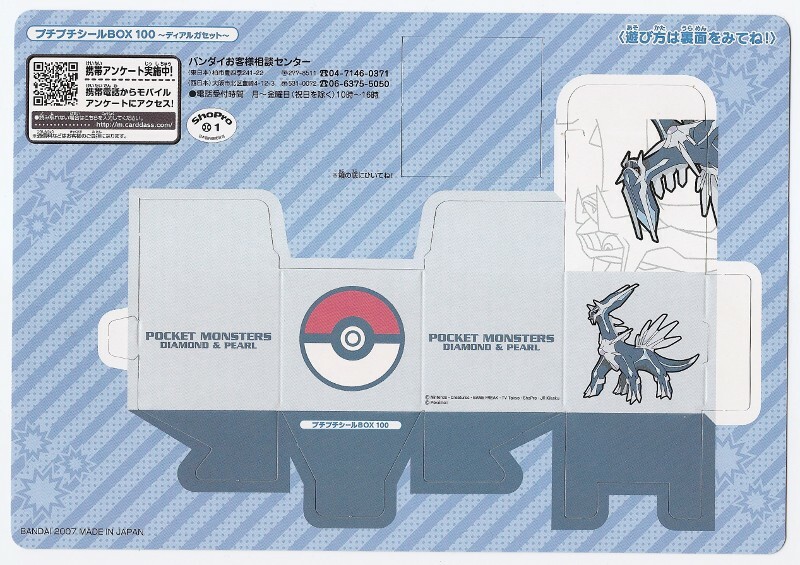 Based on the packaging and what I've seen in stores, I suspect this was a Pokemon Center exclusive. 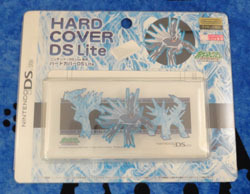 This DS Lite case has a sort of camouflage design to it. I almost overlooked it in the store, but viper_fox pointed it out to me, and now I don't have to get it on Yahoo Japan (for much more expensive). Thanks much! I'm not really sure how to describe this one, but I thought the design on it was pretty striking. 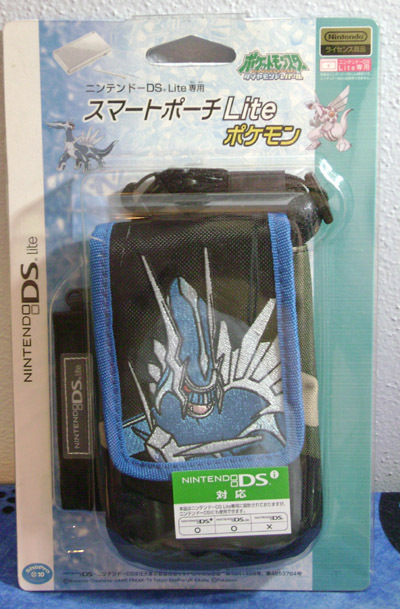 I'd never seen this case before, so I was very happy to find one in excellent condition on YJ! The auction also included the "diamond pattern" game case shown below, but I'm not sure if they were originally a set or not. 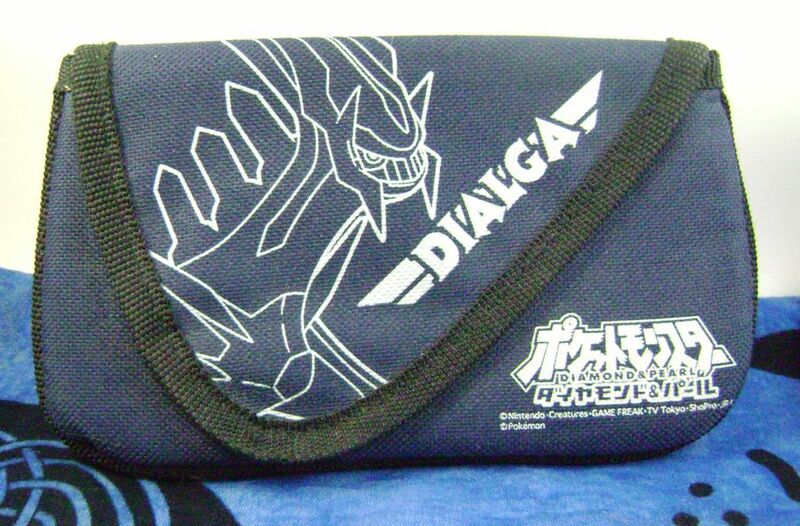 A nifty zippered Dialga case. This was one of my very first Dialga DS cases, I have quite a few now! 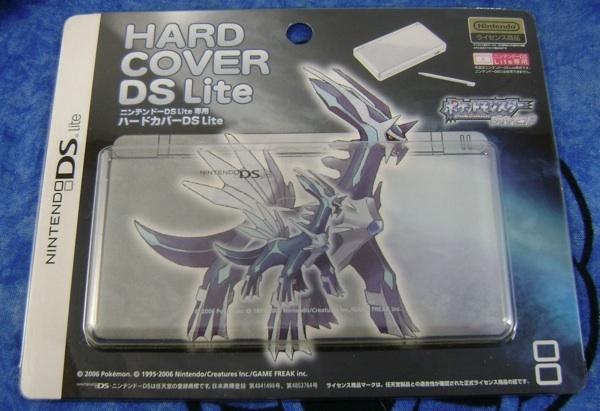 This one much more snugly fits a DS Lite. 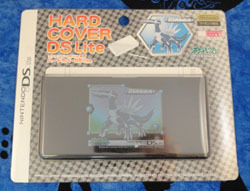 A hard plastic cover for a DS Lite. 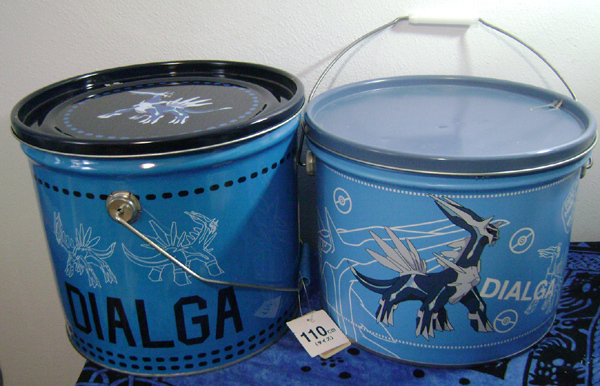 I was pleased to find that these were still in stock by the time I got to Japan! And a third version appears! I found the image for this one on Toys n Joys a while back, and just recently found a more reputable YJ seller with it. The small horizontal one in front here is the standard American version, but I've never seen the larger two for sale in stores here. Jedi_amara in Australia kindly picked those two up for me! The small vertical one was a more recent eBay find. 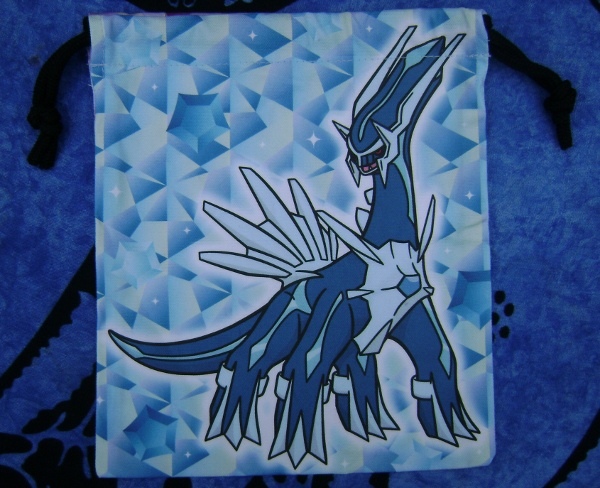 I don't know a lot of other Dialga collectors to discuss rare items with, so I usually figure that if I'm seeing an item on YJ for the first time in 2 years of searching, it's either new or very rare. 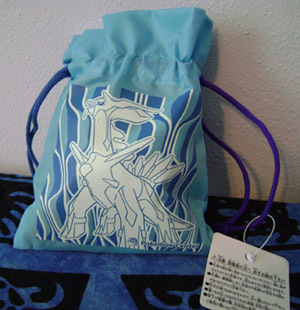 This one I think is just rare, as it's dated 2006, and I've never seen one anywhere. 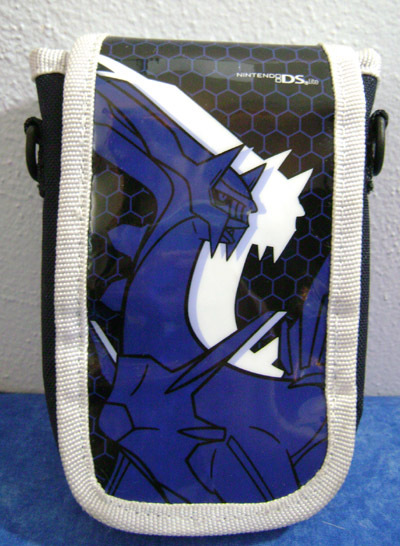 Holds 4 DS games! 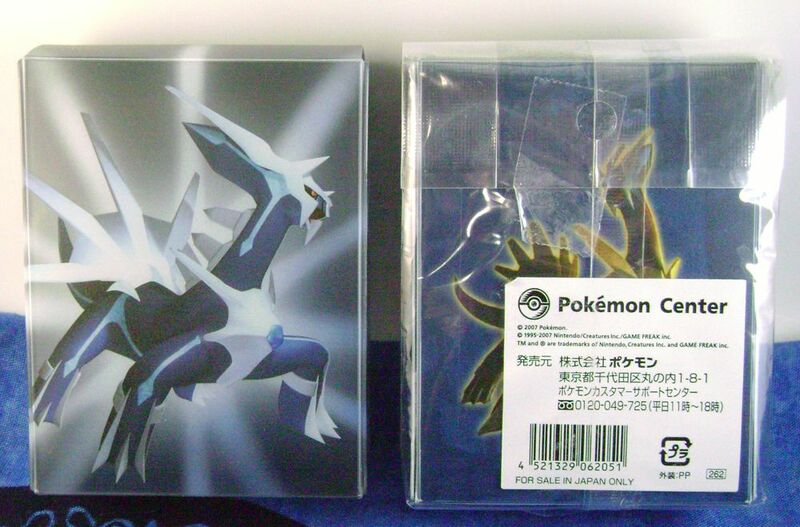 This case is similar to the one above, and both are probably rare Pokemon Center items from 2006. 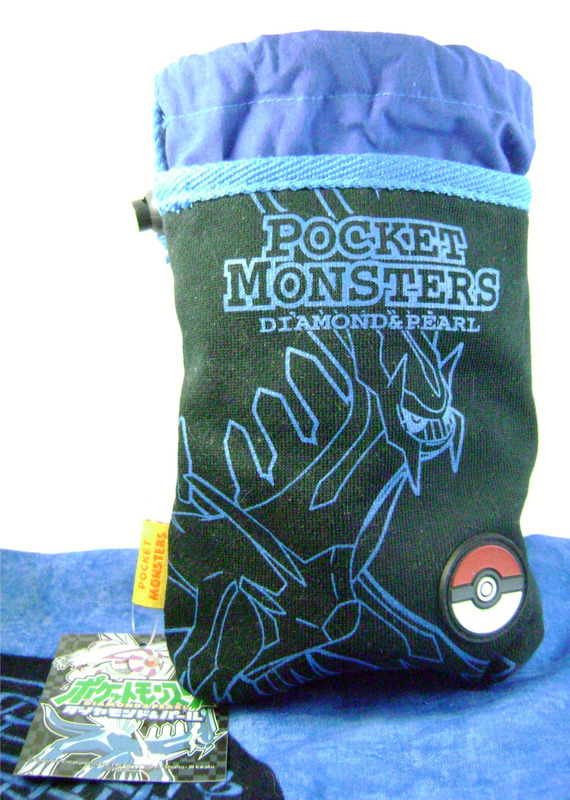 However, this one has the diamond pattern that I like so much! There is also a matching Palkia in this set. 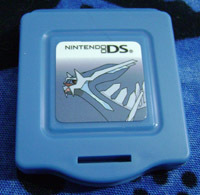 A small hard plastic game case to hold and protect a single DS game. I've got a couple of these! 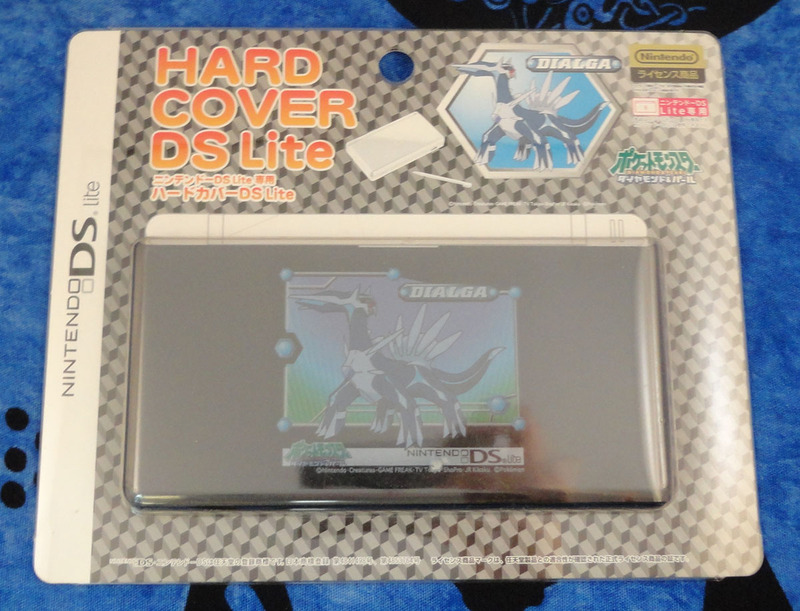 This tiny case (barely bigger than a DS cartridge) holds quite a few games. 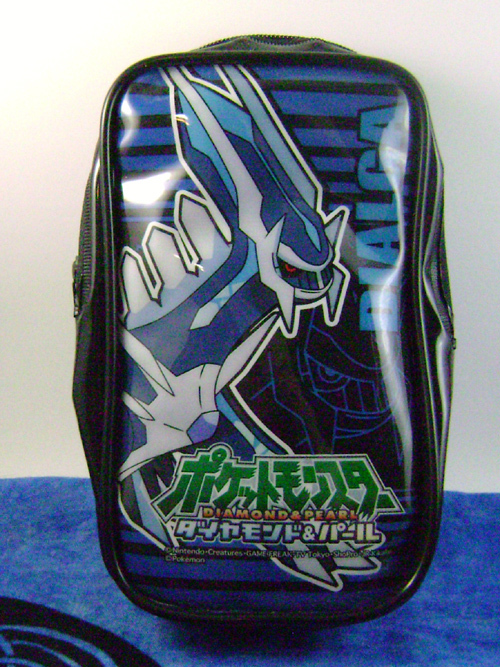 I have hard enough of a time keeping track of my games when they're in bigger cases, so I haven't been using this. 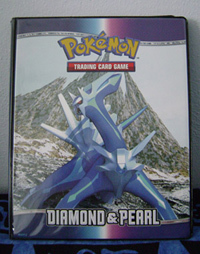 Pokemon Wonderland is a magazine for Pokemon fans (similar to Pokemon Fan) that has information on the toys, anime, and more. 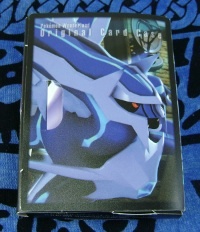 I don't know much about it, but it looks like this is a bonus item that came with issue #10 (around the release of Platinum and the Team Galaxy TCG set). Take a look at this blog post for more information about the issue and packaging. 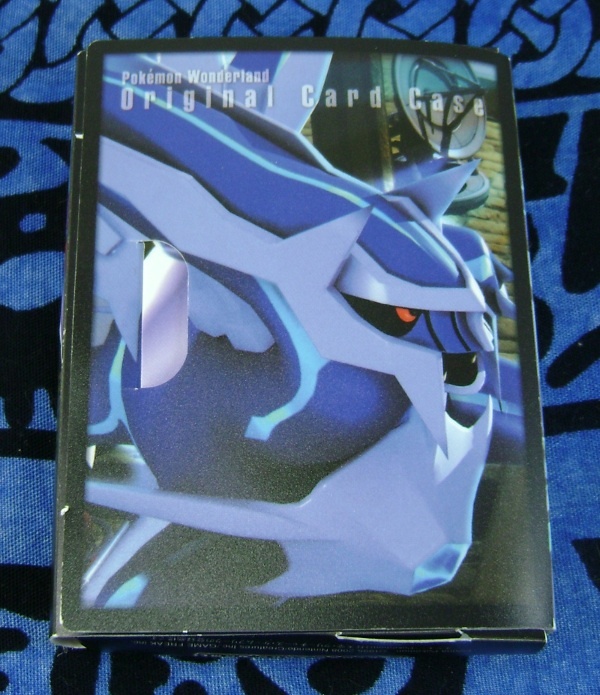 This TCG binder/booklet is from a Korean TCG set that I split up with viper_fox. 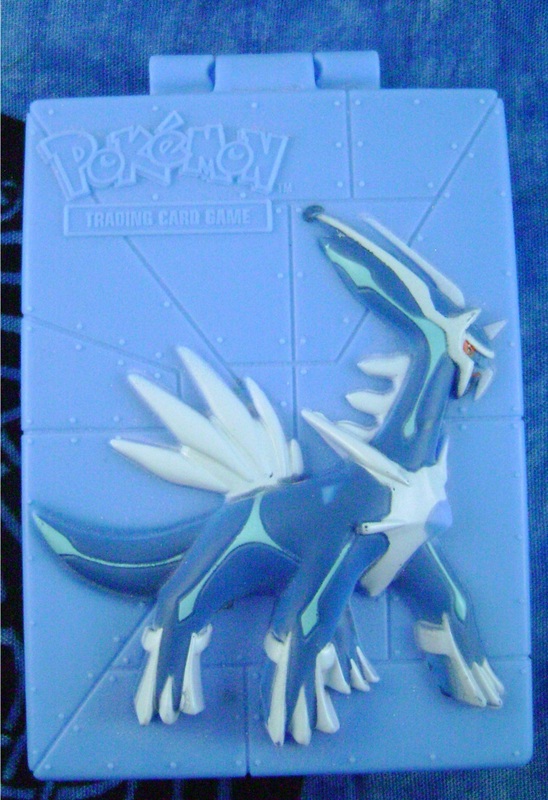 She wanted the cards, I wanted the other Dialga things, it all worked out! 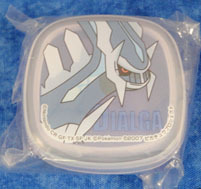 Most of the items in the set were Dialga and Palkia (this binder has Palkia on the reverse side), but there is also a Dialga TCG coin from this set. 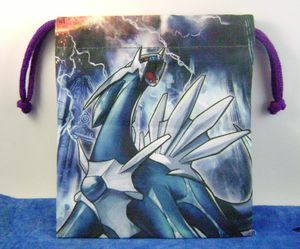 This is from an American Pokemon Promotion (in either late 2008 or early 2009, I can't remember which) at Burger King. I actually had this one for a while but had forgotten to add it on the site, and a kind visitor pointed it out to me. Thanks! 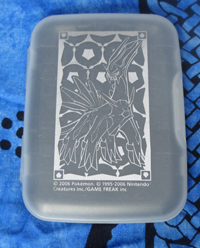 These are plastic Japanese cases to keep your TCG deck in. 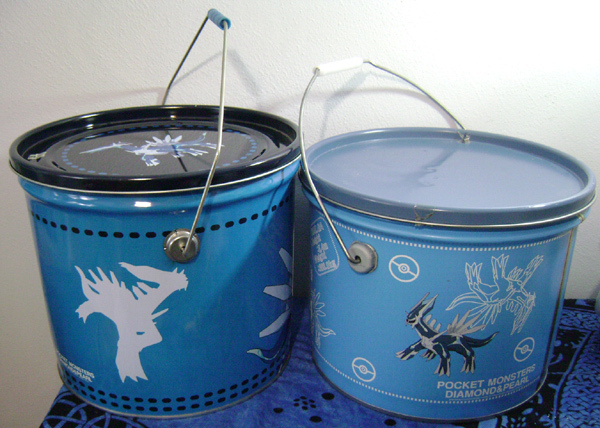 I've opened the one on the left, but couldn't bear to take the Spear Pillar one out of its original packaging. 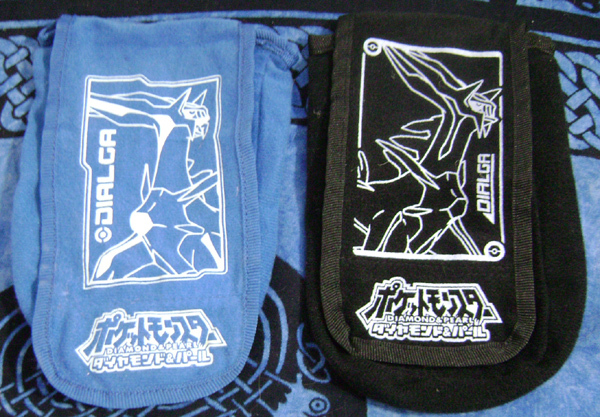 The backs of these are quite different, and you can see them here. One of the mini-binders featuring the art from the TCG packs that stores 4 cards per page. 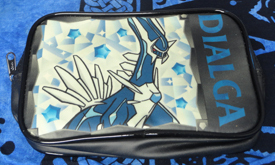 I was very pleased to see Dialga get a second binder like the above, with awesome new art! 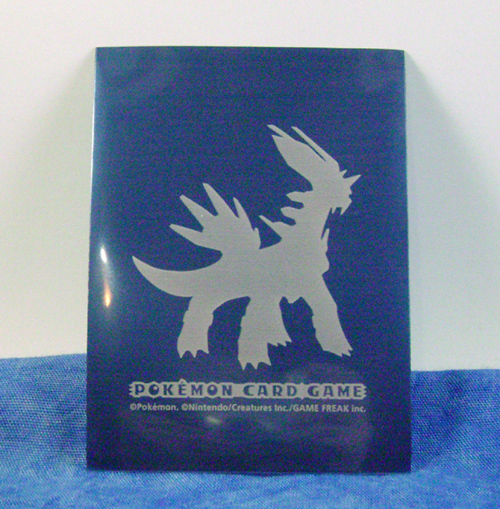 Like his other binders, this features the same art as on the booster packs. Supposedly you had to win something (I don't know what) at some TCG tournament to win just 5 of these sleeves, which means you'd need to win 12 times to have enough for a full deck. 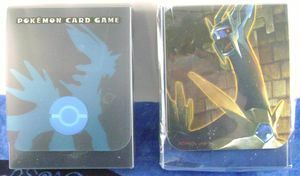 Some sellers will try and sell you 5 sleeves at a time for what you'd hope to pay for a full deck, so be careful when buying sleeves from this series! I bought this on eBay thinking it just had different artwork than the small binder I have from DP1, but to my surprise (and happiness) it's a full size, not a miniature! 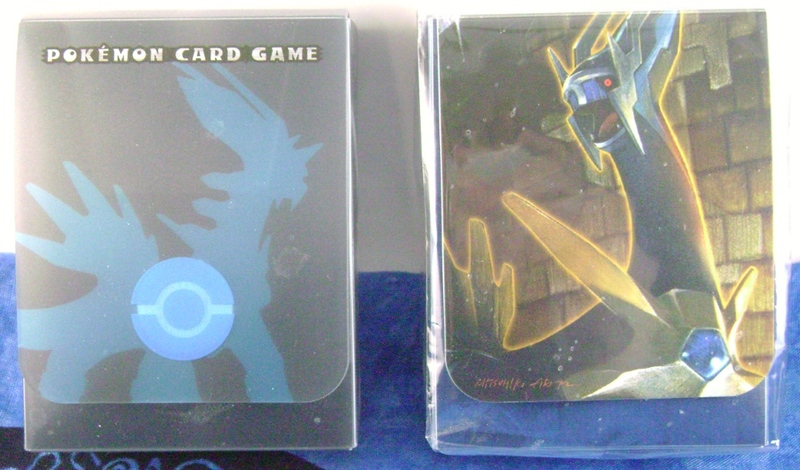 Now I have Dialga binders in both sizes, yay! These seem to be of several different makes - the two square-ish flat ones in the middle are from the Pokemon Center (I bought them there myself), a few others look like they may be Banpresto UFO prizes, and the others I just don't know about. 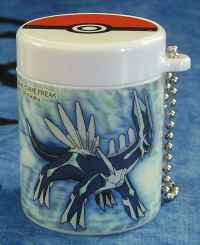 A nifty metal coin purse with a zipper along the side. Is this not the most beautiful candy jar you have ever seen? 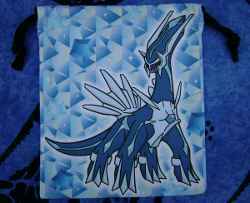 Who needs diamond-cut glass when you can have Dialga with diamonds! 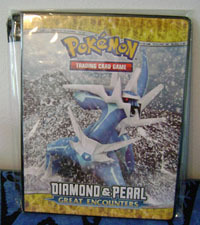 I am very pleased to have this as part of my 'Dialga with diamonds' sub-collection. 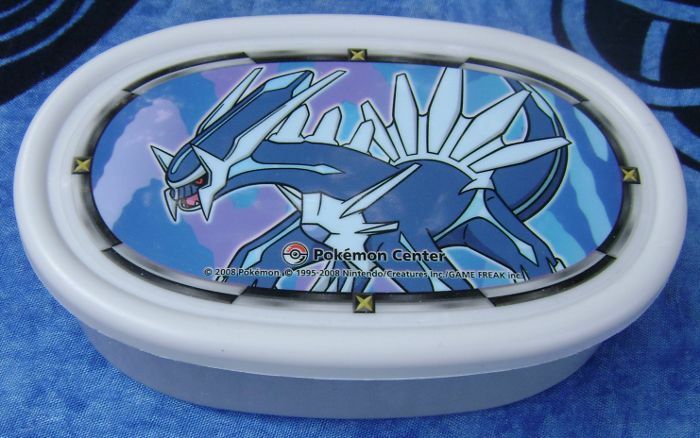 I suspect this is a rare Pokemon Center-exclusive item from around the time of the Diamond and Pearl launch, and the release of similar containers for Black and White has helped confirm this. This little box may not look like much, but it's one I was after for a long time. 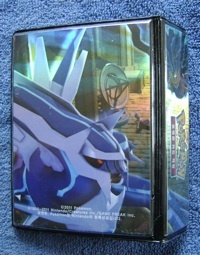 From the information I have, I think it was only sold by mail order (through a form in the 10th movie promotional book) and in the movie theaters showing the 10th movie. 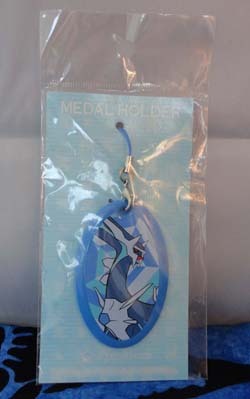 (Every year, at least for the last several years, the movie theater has a section with Pokemon goods for sale in the lobby during the movie run.) I kept expecting this to show up in random toy lots, but it never did...and finally, I found a lot with several of these boxes, from a few different movies, and bought it out immediately. 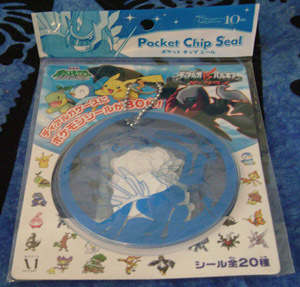 I now have one new in package, with even his 200 yen price sticker still attached! 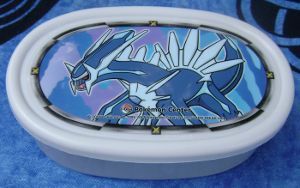 I've heard of these being mistaken for bento boxes, but they are far too small to be used for that - they're approximately 1 1/2" on each side, and probably are too small to even hold Retsuden or Pan stickers. 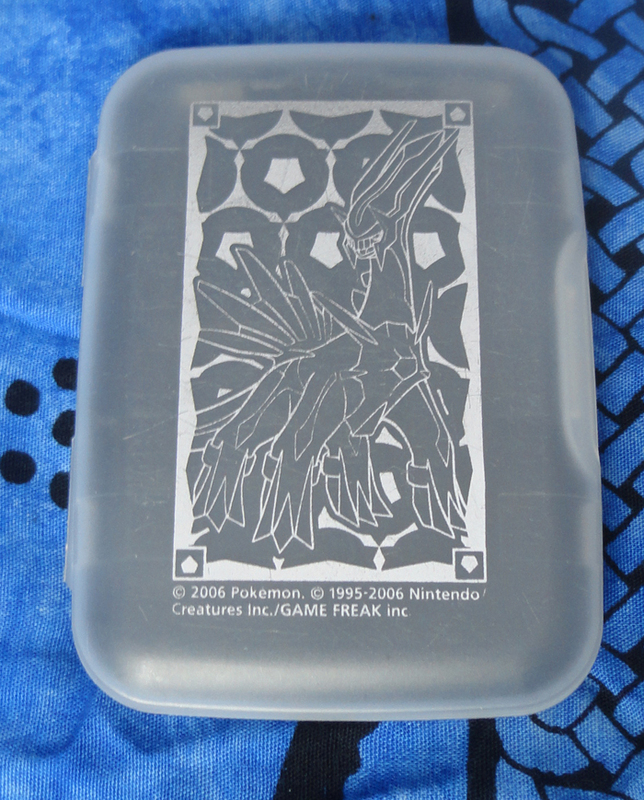 I first spotted this case in a large lot. 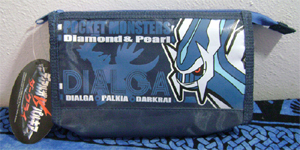 I couldn't tell much about it, other than that it was the Pokemon Center's "diamond" pattern that I'm so fond of. 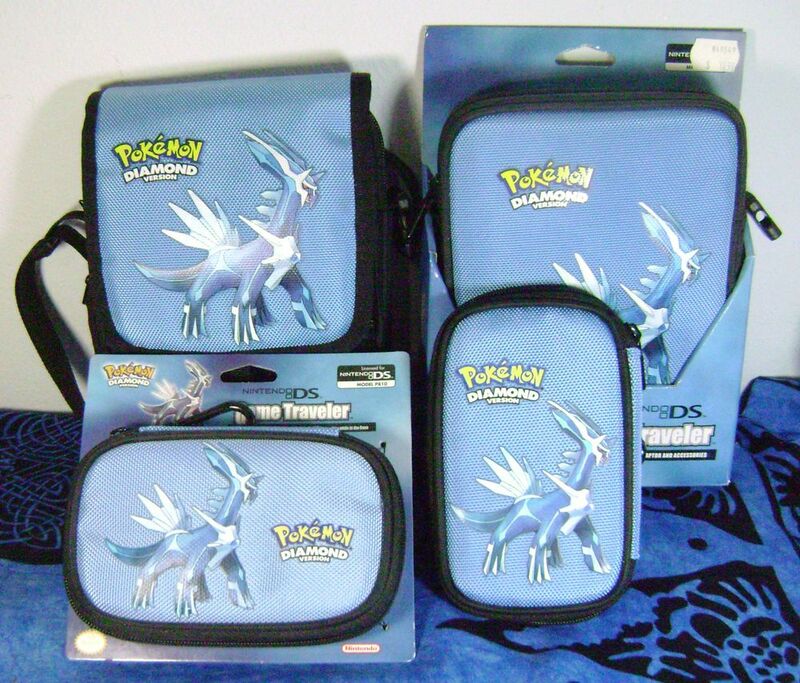 Unfortunately, the lot looked heavy and expensive, and the seller refused to sell the case separately. 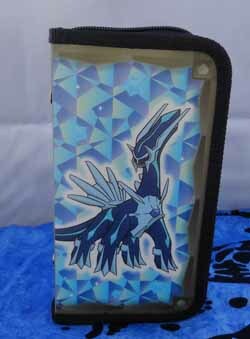 I didn't want to pay over $100 for just this case, as cool as it might be, so I watched the auction get relisted several times and waited for a price drop. Some time later, the case popped up by itself on Mbok for just 800 yen, and of course I nabbed it there. This was one time I was glad I waited! I'm not sure what this is intended for - it's much too small to hold food or drink. Maybe medicine? 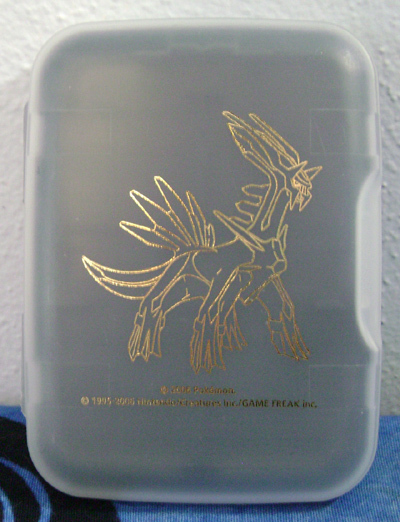 Anyway, it will rest unused in my collection for now! 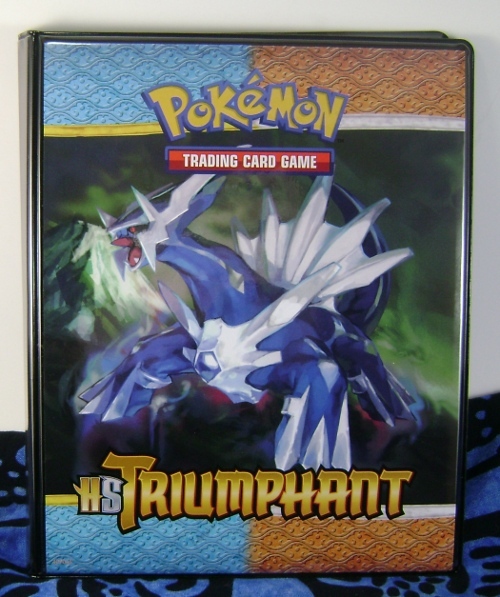 After getting outbid on a set of these that went quite high, I was able to snag a much more used set for far cheaper. There are some light scratches on it but I still think it's lovely! 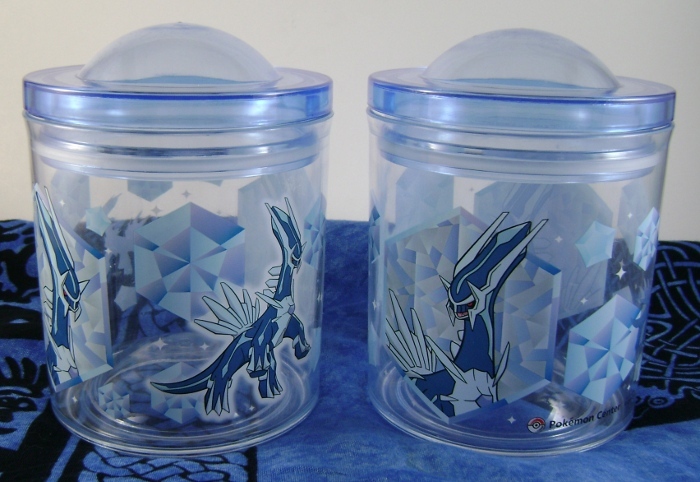 This is part of a set with Giratina (larger) and Palkia (smaller). 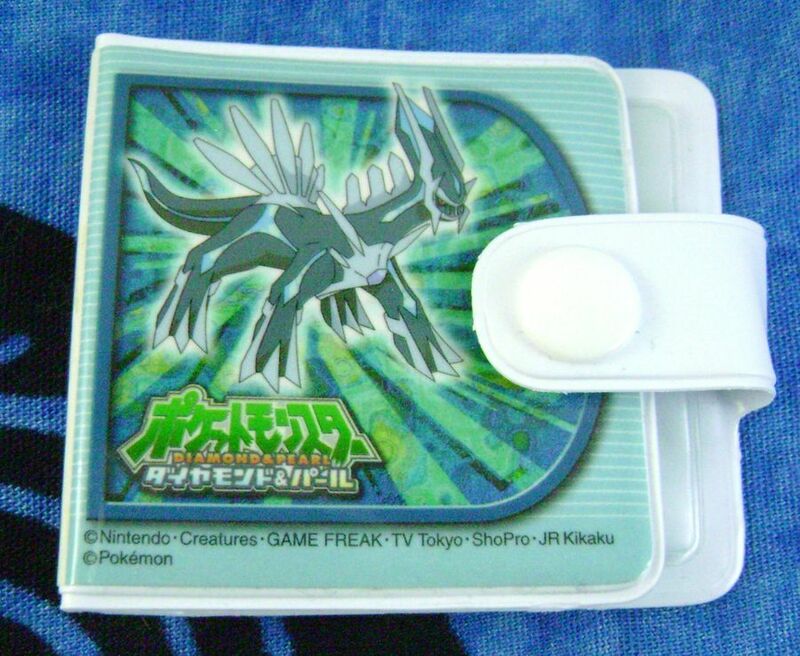 This little box is meant to hold tiny Puchi Puchi stickers (as can be found on my Flat Items page). Usually I'd assemble an item like this, but it looks like it'd be so fragile assembled that I've left it as is. 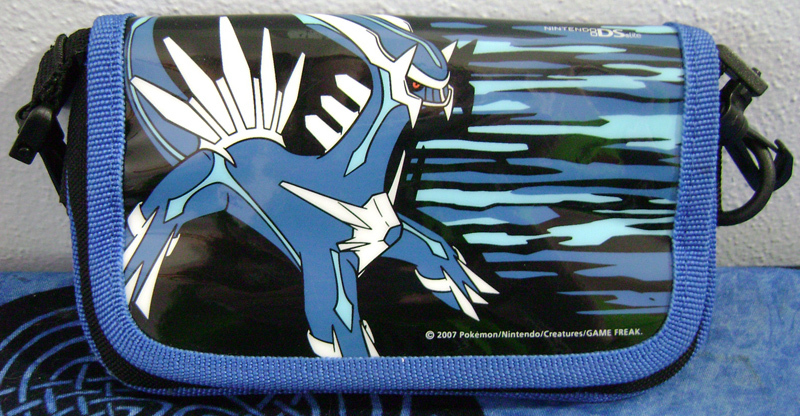 This could probably be used as a DS case, but it's a bit big and the cloth at the top is a little too thin. It's got a nice unique design, though! On my flats page, I describe how I got the little sticker from the gachapon machine on the first try, then thought I was done. 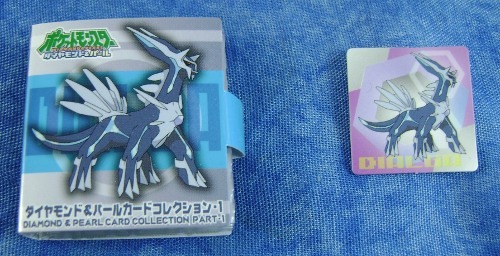 It wasn't until months later I found out that the set not only has dozens of different stickers, but also 3 different booklets to store those in, one of which featured Dialga. Whoops! The booklet I'd received featured just the Sinnoh starter Pokemon, so I had to go and buy a set on Yahoo Auctions to get the Dialga book. You can see some more pictures of the other sides here and here. 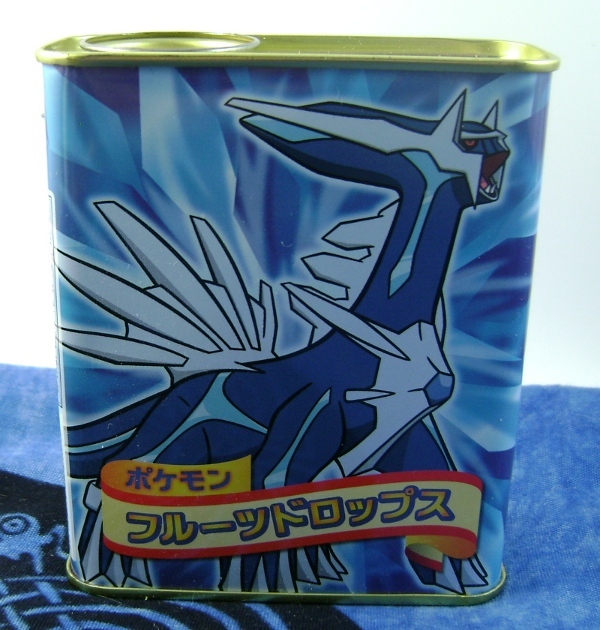 These tins originally contain Meiji fruit-flavored candies (フルーツドロップ, Fruit Drops), though this one has long been empty. 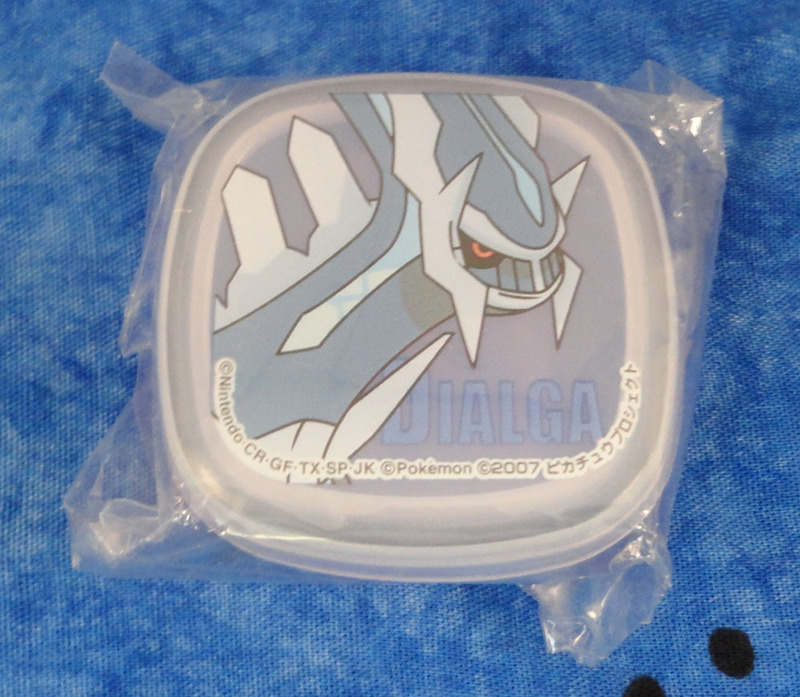 I actually had two of these tins well before I received this one, but one featured Dialga and Giratina (from the 11th movie) and the other featured Dialga, Palkia, and Giratina all together (from the 12th). I didn't realize there was a 10th movie version until Crunch found it for me and offered it in trade. Thanks very much! 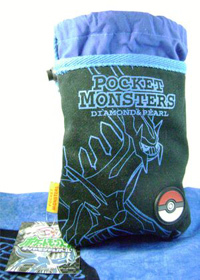 These pouches are two different gashapon sets. I originally thought they were supposed to be cell phone cases, but they're actually much bigger: they might hold a PDA or even (almost) a DS Lite. 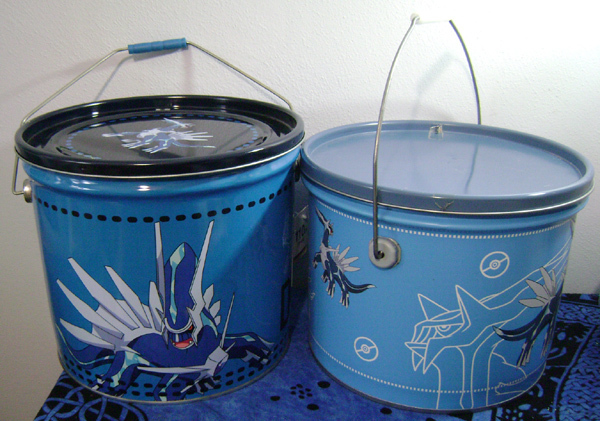 The paint looks really neat and reflective on the black one. 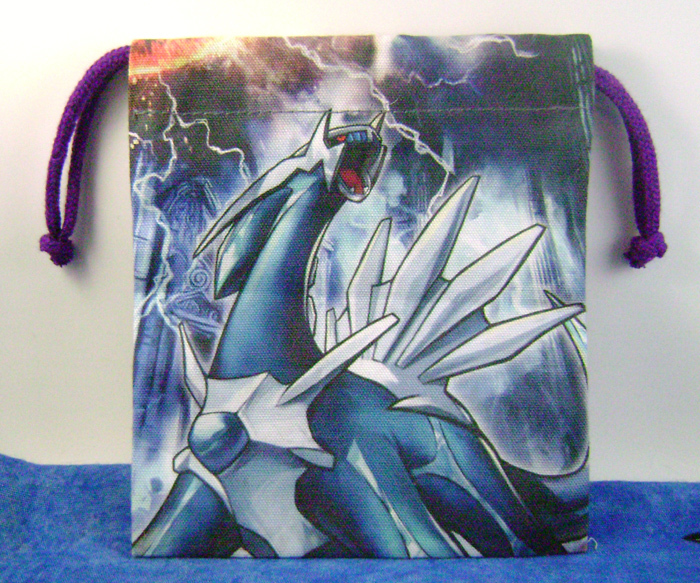 A cool bag featuring a very roaring Dialga! 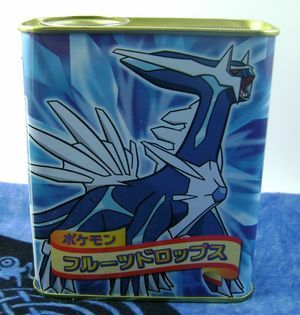 This tin is part of a set of 6 Yokohama Pokemon Center exclusives. 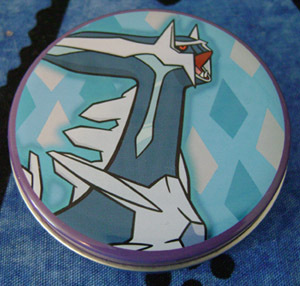 It's about 2" wide and filled with small candies! A bag that you have to stuff with little candies. I tried to buy just the bag, but they insisted I fill it with candy to buy it! 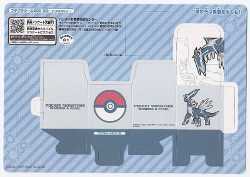 Regigigas is on the back. This little case holds a stamped penny (maybe more than one?) 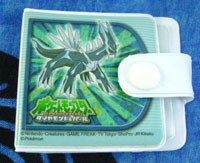 such as the Medialief Dialga on my flat items page. 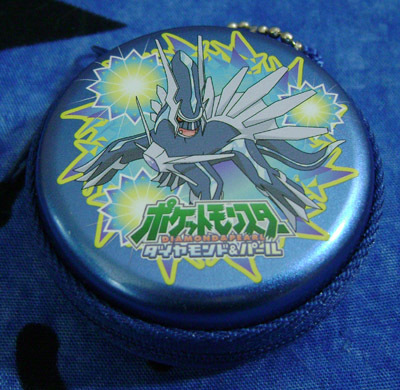 Why they made a case just for those is beyond me...maybe thosepennies are more popular in Japan? 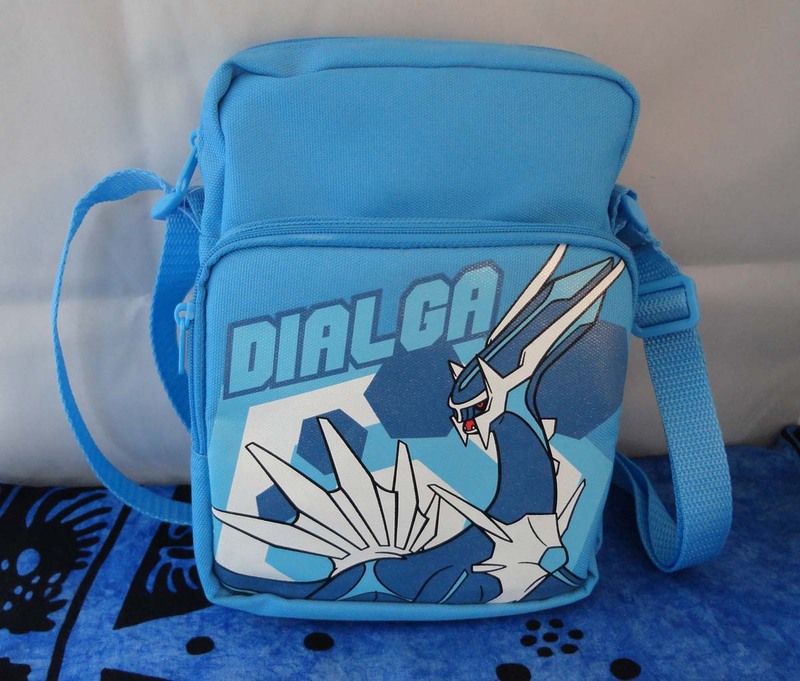 I was going to buy this sticker set anyway for the Dialgas in there, but it wasn't until later I realized that the case itself had a Dialga on it. Nifty! This bag is much bigger than the DS cases, and could be used as a full purse. Mine just sits propped up on one of my Dialga shelves, though.